Alpha Lipoic Acid is a coenzyme and an antioxidant. It is referred to as the universal antioxidant because it is water and fat soluble, enabling it to function in both the membrane and aqueous parts of cells, to help fight cell-damaging free radicals in the body. Alpha Lipoic Acid supports the regeneration of glutathione, one of the body�s primary antioxidants, and helps to recycle Vitamins C and E, and Coenzyme Q10. In addition, it supports healthy nerve function and helps to metabolize sugar in the body. CoQ-10 is a fat-soluble antioxidant. Antioxidants help fight cell-damaging free radicals in the body. CoQ-10 is a clinically studied ingredient to promote heart, brain and neurological function. This formulation is offered in a convenient two-piece capsule, suitable for vegetarians. CoQ-10 is a fat-soluble antioxidant. Antioxidants help fight cell-damaging free radicals in the body. CoQ-10 is a clinically studied ingredient to promote heart, brain and neurological function. This formulation is offered in an oil-based softgel to promote optimal absorption and assimilation. Get answers from an expert. For product information please contact our nutritionists at Sundrops.com. Natrol� Alpha Lipoic Acid is a vitamin-like compound that is used in the body to break down carbohydrates and generate energy for the body�s organs. Numerous clinical and experimental data has shown the ability of Alpha Lipoic Acid to neutralize free radicals and to restore the levels of vitamins C and E. Alpha Lipoic Acid is a coenzyme and an antioxidant. It is referred to as the universal antioxidant because it is water and fat soluble, enabling it to function in both the membrane and aqueous parts of cells, to help fight cell-damaging free radicals in the body. Alpha Lipoic Acid supports the regeneration of glutathione, one of the body�s primary antioxidants, and helps to recycle Vitamins C and E, and Coenzyme Q10. In addition, it supports healthy nerve function and helps to metabolize sugar in the body. CoQ-10 is a fat-soluble antioxidant. Antioxidants help fight cell-damaging free radicals in the body. CoQ-10 is a clinically studied ingredient to promote heart, brain and neurological function. This formulation is offered in a convenient two-piece capsule, suitable for vegetarians. CoQ-10 is a fat-soluble antioxidant. Antioxidants help fight cell-damaging free radicals in the body. CoQ-10 is a clinically studied ingredient to promote heart, brain and neurological function. This formulation is offered in an oil-based softgel to promote optimal absorption and assimilation. Alpha-lipoic acid is a powerful fat and water soluble antioxidant. It directly recycles vitamin C and indirectly recycles vitamin E, providing additional antioxidant protection. It is also an important component in the glucose metabolism process within cells.�Alpha-lipoic acid may support the normal insulin response and healthy blood sugar levels already within the normal range. Natrol� Alpha Lipoic Acid is a vitamin-like compound that is used in the body to break down carbohydrates and generate energy for the body�s organs. Numerous clinical and experimental data has shown the ability of Alpha Lipoic Acid to neutralize free radicals and to restore the levels of vitamins C and E. Get answers from an expert. For product information please contact our nutritionists at Sundrops.com. CoQ-10 is a fat-soluble antioxidant. Antioxidants help fight cell-damaging free radicals in the body. CoQ-10 is a clinically studied ingredient to promote heart, brain and neurological function. This formulation is offered in a convenient two-piece capsule, suitable for vegetarians. CoQ-10 is a fat-soluble antioxidant. Antioxidants help fight cell-damaging free radicals in the body. CoQ-10 is a clinically studied ingredient to promote heart, brain and neurological function. This formulation is offered in an oil-based softgel to promote optimal absorption and assimilation. Alpha Lipoic Acid is a coenzyme and an antioxidant. It is referred to as the universal antioxidant because it is water and fat soluble, enabling it to function in both the membrane and aqueous parts of cells, to help fight cell-damaging free radicals in the body. Alpha Lipoic Acid supports the regeneration of glutathione, one of the body�s primary antioxidants, and helps to recycle Vitamins C and E, and Coenzyme Q10. In addition, it supports healthy nerve function and helps to metabolize sugar in the body. Grape Seed Extract naturally contains polyphenols known as oligomeric proanthocyanidins (OPCs). In addition to being cardioprotective, proanthocyanidin compounds possess antioxidant properties that help fight cell-damaging free radicals which can cause oxidative stress in the body, and in turn contribute to premature aging of cells. Get answers from an expert. For product information please contact our nutritionists at Sundrops.com. Alpha-lipoic acid is a powerful fat and water soluble antioxidant. It directly recycles vitamin C and indirectly recycles vitamin E, providing additional antioxidant protection. 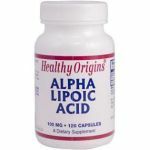 It is also an important component in the glucose metabolism process within cells.�Alpha-lipoic acid may support the normal insulin response and healthy blood sugar levels already within the normal range. Natrol� Alpha Lipoic Acid is a vitamin-like compound that is used in the body to break down carbohydrates and generate energy for the body�s organs. Numerous clinical and experimental data has shown the ability of Alpha Lipoic Acid to neutralize free radicals and to restore the levels of vitamins C and E.
Natrol� Alpha Lipoic Acid is a vitamin-like compound that is used in the body to break down carbohydrates and generate energy for the body�s organs. Numerous clinical and experimental data has shown the ability of Alpha Lipoic Acid to neutralize free radicals and to restore the levels of vitamins C and E. Natrol� AcaiBerry Diet combines the benefits of Green Tea Extract, a metabolic Activator Caffeine Blend, Chromium, and Acai Berry, spiced with Berry Digestive Enzyme Blend to help maintain healthy body weight, when combined with a healthy reduced-calorie diet and exercise program. � Acai is rich in phytonutrients, such as anthocyanins and flavonoids harvested in Central and South America, where it is commonly consumed for its various health benefits. Get answers from an expert. For product information please contact our nutritionists at Sundrops.com. Astaxanthin is classified as a xanthophyll, which is a carotenoid pigment found in fish and algae. It helps to provide the natural color in these organisms. Astaxanthin is a�super antioxidant whose unique structure allows it to exist in both lipid and aqueous environments, enabling it to be active throughout the body. In addition, it helps to fight free radicals in the skin so as to maintain a natural, healthy glow. Get answers from an expert. For product information please contact our nutritionists at Sundrops.com. Bluebonnet�s Grape Seed Extract 100 mg Vcaps provide 100% natural grape seed extract derived from champagne grapes imported from France. This patented Leucoselect� grape seed extract provides a standardized amount of potent antioxidants (oligomeric proanthocyanidins, monomeric polyphenols and flavonoids) per serving in easy-to-swallow vegetable capsules for maximum assimilation and absorption. CoQ-10 is a fat-soluble antioxidant. Antioxidants help fight cell-damaging free radicals in the body. CoQ-10 is a clinically studied ingredient to promote heart, brain and neurological function. This formulation is offered in a convenient two-piece capsule, suitable for vegetarians. Bluebonnet�s Alpha Lipoic Acid 300 mg Vcaps provides a higher potency, pure crystalline alpha lipoic acid in easy-to-swallow vegetable capsules for maximum assimilation and absorption. Alpha Lipoic Acid is a coenzyme and an antioxidant. It is referred to as the universal antioxidant because it is water and fat soluble, enabling it to function in both the membrane and aqueous parts of cells, to help fight cell-damaging free radicals in the body. Alpha Lipoic Acid supports the regeneration of glutathione, one of the body�s primary antioxidants, and helps to recycle Vitamins C and E, and Coenzyme Q10. In addition, it supports healthy nerve function and helps to metabolize sugar in the body. Alpha-lipoic acid is a powerful fat and water soluble antioxidant. It directly recycles vitamin C and indirectly recycles vitamin E, providing additional antioxidant protection. 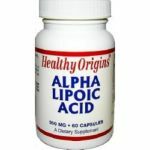 It is also an important component in the glucose metabolism process within cells.�Alpha-lipoic acid may support the normal insulin response and healthy blood sugar levels already within the normal range.